The Buggles “Video Killed the Radio Star” is best known as the answer to a trivia question, but I’ve always found equally fascinating the extremely dated technology reference in the lyrics: “Pictures came and broke your heart/Put the blame on VTR.” Within a few years of the song’s release, self-contained video cassette recorders had supplanted the old reel-to-reel video tape recorders as the device used to record video to magnetic tape. Future remakes of the song would update the line to “VCR”, but the original lives on, the lyrical equivalent of a prehistoric ant preserved in amber. Thirty-five years later, as videos continue their migration from our TV screens to, well, all of our other screens, we’re in another era of terminology struggling to adapt to a rapidly evolving technological landscape. Even in our discussions around the Nomads office, we’re constantly debating what terms are the most accurate, which ones are the most easily understood, and which ones industry insiders use when talking about streaming video. The resolution of this lexicological turmoil will probably take some time, and I’m under no illusions that I can solve it in a single blog post. What might be helpful, however, is to outline the different terms in use today, and explain the subtle differences between them. In an effort to make this overview slightly more Nate Silver-ish, I’ll quantify the popularity of each term based on Google search results and presence on Wikipedia. And in an effort to make it not at all Nate Silver-ish, I’ll offer my own totally subjective prediction on the term’s staying power. Pros: Broad enough term to cover all the types of videos we consume outside of traditional TV viewing. Cons: A little too broad, since pretty much any video you watch these days in encoded digitally. Long-term prognosis: Pretty good. As seen in the case of DVDs, DVRs, and digital music players, the word “digital” is frequently used to refer to media over which consumers have more control than they did under traditional arrangements, which is certainly a defining feature of today’s new video options. Pros: Highlights another key differentiator from traditional video: the source of the content. Previously, viewers needed access to a broadcast, cable or satellite signal in order to watch something. Now, all they need is a device and an Internet connection. Cons: “Internet” isn’t really used as much in conjunction with mobile, which is where the biggest growth is these days. Long-term prognosis: Will continue to be used to refer to YouTube, Vimeo and the like. But people will invariably think of an Internet video as something they watch on their computer inside a browser window. Pros: One of the biggest innovations in recent years is the ability of consumers to watch the same content across all their devices. Multi-screen video puts that innovation front and center. Cons: It’s a bit of a mouthful, and sounds pretty jargony. Long-term prognosis: It may catch on among industry insiders, but in a million years can you picture your mom uttering that phrase? Cons: Too narrow. 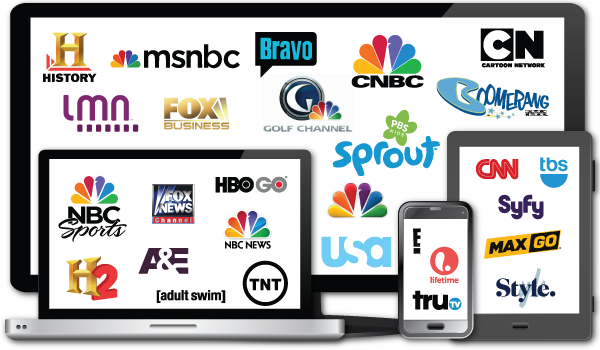 By way of example, HBO Now is an OTT product. HBO Go is not. Most consumers won’t make that distinction. Long-term prognosis: Another one that feels a little too inside baseball. On the other hand, it does have a catchy acronym. Put those together and, while I don’t see it catching on with the broader public, I do foresee lots of PowerPoint slides at industry conferences featuring jokes about Stallone movies and Naughty By Nature songs. What it means: I couldn’t find an agreed-upon definition, but as with OTT, the focus is on the disintermediation represented by cutting out the cable or satellite operator. Cons: No one who works in the entertainment business will want to put the words “direct to” and “video” too close to each other. Long-term prognosis: The industry won’t use it because of the aforementioned confusion. Consumers won’t use it because they don’t call themselves “consumers”. Pros: An evocative phrase that perfectly captures the benefit to consumers. Cons: Too bad the term, invented by Time Warner in 2009, has been co-opted to only refer to a narrow — and not particularly well-liked — sliver of the market. Since it requires an underlying cable or satellite subscription, Millennial cord-cutters will have little use for TV Everywhere (unless they’re borrowing their parents’ login credentials). Long-term prognosis: In an ideal world, this would be the generally accepted term to refer to the entire industry. But in our world, it will likely be viewed as a vestigial service that is eventually displaced by OTT offerings (as we may already be seeing with HBO Go/HBO Now). Pros: Streaming is a widely understood concept, and is already the established term for audio services like Spotify and Pandora. Cons: Generally refers to live broadcasts, as distinguished from on-demand programming. Long-term prognosis: Definitely a strong contender, especially given that it’s already in the name of one of the largest industry websites/conferences. Just needs to break out of the “live broadcast” ghetto. Cons: As with “streaming video”, only refers to half the market. A live broadcast can in no way be said to be “on demand”. Long-term prognosis: Unlike streaming, there is almost no chance its definition will ever expand beyond its current meaning. At the same time, it will continue to be used to describe a significant component of the online video industry. Final verdict: At this point, it’s a close race between “digital video” and “streaming video”, with “OTT” a dark horse that could triumph if it gains more mainstream awareness.